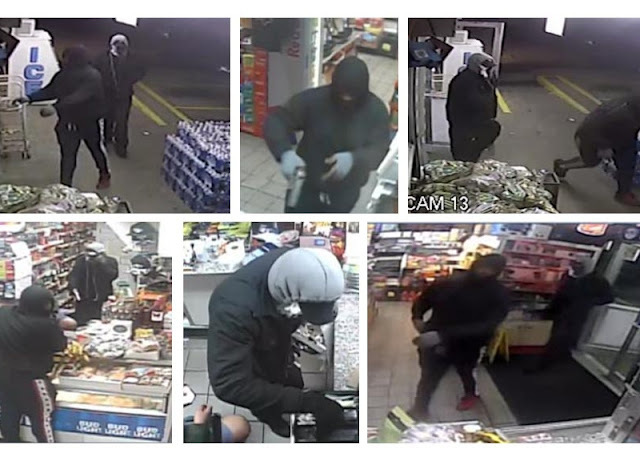 The St. Tammany Parish Sheriff’s Office is looking for two men who robbed a Slidell-area gas station early Wednesday morning (February 13, 2019). Shortly before 5:30 a.m., two black males entered a gas station on Voters Road in the Slidell area. Both men were wearing clothing that partially blocked their faces. They were armed with handguns and demanded money from the cashier. Anyone with information about this crime or the individuals in the photos, which were taken from surveillance video, is asked to call Detective Crabtree at 985-726-7839, the STPSO at 985-898-2338 or Crimestoppers at 504-822-1111. You can remain anonymous and may be eligible for a cash reward through Crimestoppers.